Managed by the Indiana State Department of Agriculture, the ICP Accomplishments Website organizes and displays statewide and county level information on conservation investments made with local, state and federal funding. 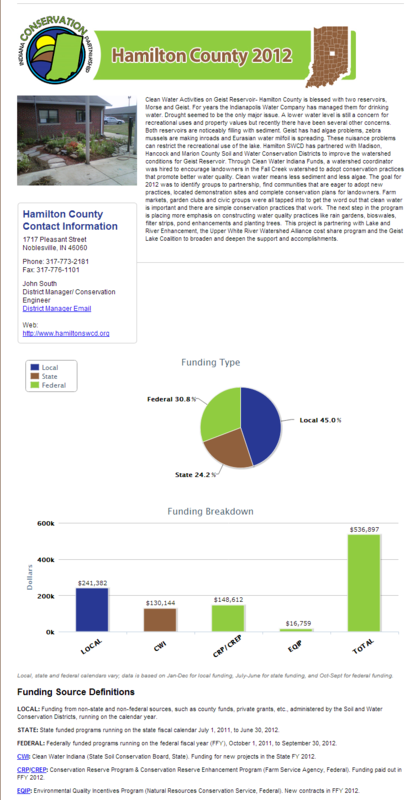 You can view funding levels, funding specific programs and counties, and county level success stories for Soil and Water Conservation Districts. You can also download a copy of the 2016 ICP Conservation Accomplishments Report. Submit your ICP Report to your DSS.